New Straits Times was the first newspaper to introduce the Newspaper in Education programme in Malaysia. 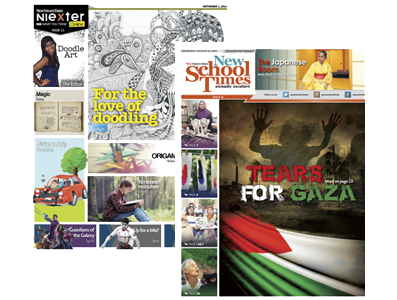 The Newspaper in Education Unit (NIE) under the New Straits Times produces educational pullouts such as School Times, Niexter and Journalism on Campus with the objective of enhancing the English Language proficiency among students from the age of 7 onwards. Since its establishment in 2000, the unit has conducted various educational activities and holiday programmes. In their school support programmes, the NIE unit focuses on language learning programmes for teachers and students. The NIE School Times pullout is a 24 page newspaper with Activity Boards, Answer Keys, Glossaries, Pronunciations Guides and Teachers Guides. Niexter is a teen lifestyle pullout with an edutainment bend, published on Thursdays in the Life and Times section of the New Straits Times. It engages young readers and helps improve their writing skills as well as provides a platform for them to express themselves. Journalism on Campus, a 24 page newspaper is published monthly for interested tertiary institution with 75% content on campus news coming from student contributors. News @ Work the Adult Development Programme offers corporate training programmes on language proficiency and media relations. The Inside Scoop programme is a community development programme that enables adults to learn an extra marketable skill or professional development. NIE Unit also organizes an annual award ceremony, Young Writers’ Awards, to celebrate the contributions of all young writers to their publications.